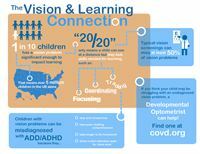 To help parents and educators in identifying children who have eye coordination and eye movement disorders contributing to their academic challenges, COVD has released an infographic and a Public Service Announcement as part of observing Learning Disabilities Awareness Month. 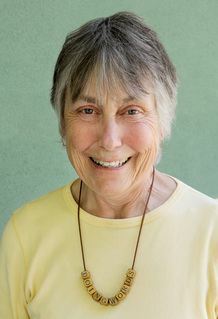 For more information visit: www.covd.org. 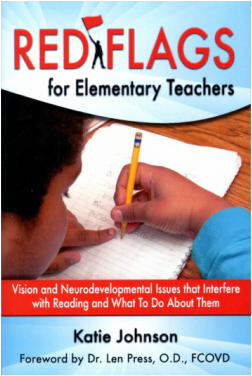 Many parents are told their children aren’t far enough behind to warrant special services at school, yet they continue to struggle with reading and learning. 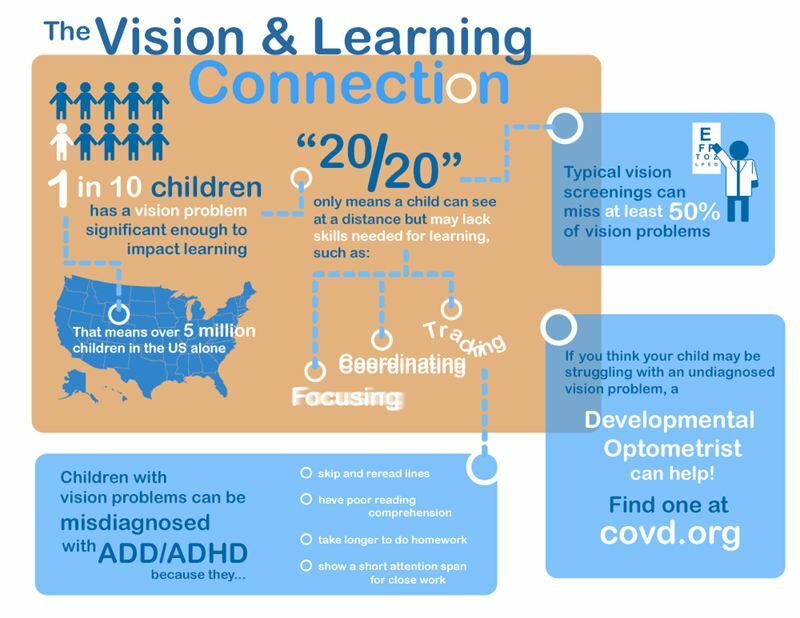 Other children are misdiagnosed with learning disabilities when in fact they have undiagnosed vision problems at the root of their struggles. While eyesight, or visual acuity, is typically assessed, the main test is whether a child can see certain-sized letters from a distance of 20 feet (hence the term “20/20”). However, reading occurs at approximately 6 to 15 inches. Optometric research has shown that more than 10 million children struggle with reading and learning because of eye coordination and eye focusing disorders. Research also clearly indicates that both of these disorders are very treatable with optometric vision therapy. Parents shared that optometric vision therapy was one of the interventions that makes a big difference in their children’s ability to read and learn.